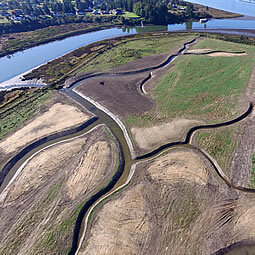 Big River Construction has completed a wide range of environmentally sensitive and challenging “in water” projects and wetland areas. We take pride in our ability to address the challenges that come with these projects and provide innovative ideas for project performance. We pride ourselves on completing projects on time, within budget and per all environmental standards and regulations. The work for this project consisted of repairing and stabilizing bank erosion at the southwest corner of the Hammond Marina. 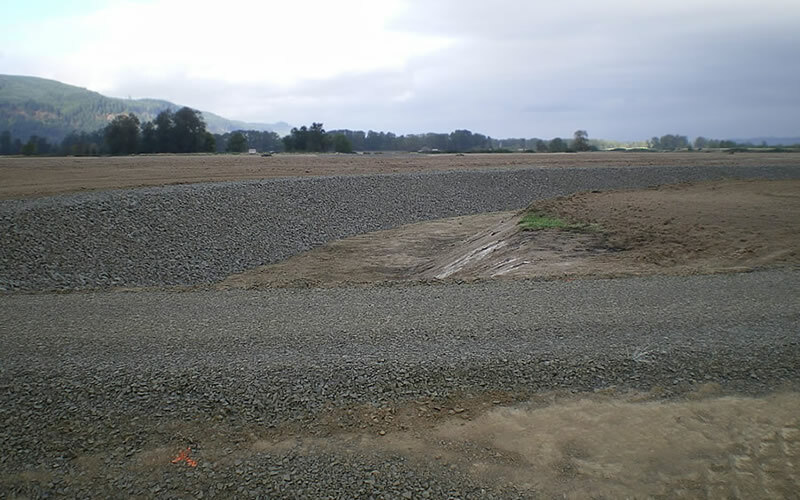 Work included excavation and monitoring per the existing permit, placement of Type 2 Riprap Geotextile Fabric, placement of 4”-0” Well Graded fill, placement of Class 200 Riprap, placement of willow stakes and placement of logs. 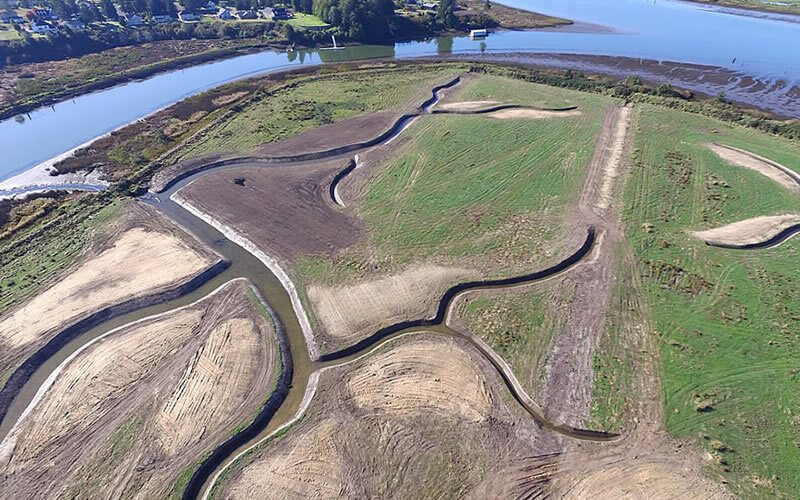 This project involves the modification of existing levees and ditches to restore tidal marsh for salmon and steelhead restoration in the lower Columbia river estuary. 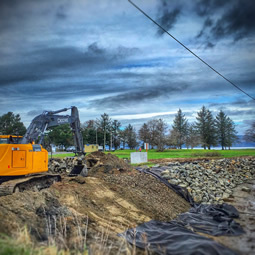 The project includes tidal channel excavation, spoils placement and related grading, vegetation management to improve conditions for native species, levee breaching, tide gate removal, levee lowering and fish salvage. This project consisted of repairing scour issues that undermined an existing bridge structure. The project was completed late summer of 2011. The project required a condensed schedule due to a protected run of bull trout that passes from the lake into the river in mid October. Our in water work was performed using a 7 day per week schedule. 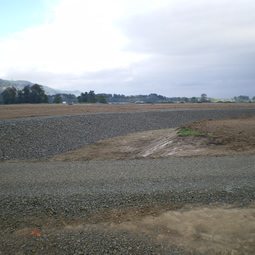 First, a containment dike was constructed around the work zone to keep fish out and sediment in. The US Forrest service biologists performed the fish salvage. 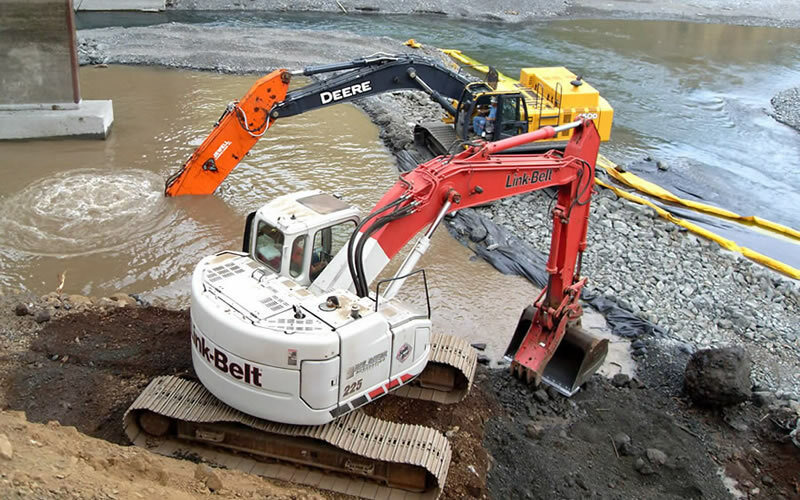 Then the river channel was excavated to 20 feet below the water level, geotextile fabric installed, and approximately 8,000 tons of large rip rap were placed in the channel and on the slope of the riverbank in order to protect the new bridge abutment and two existing bridge columns from future erosion. 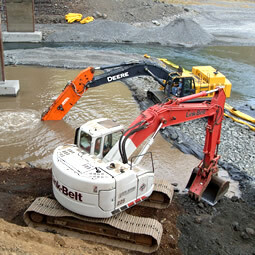 The containment dike was then removed and the rest of the “out of water” work performed. 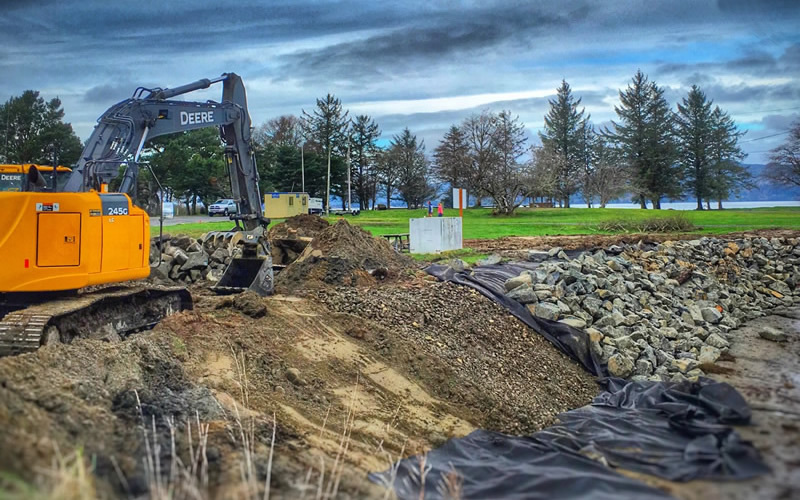 This work consisted of excavation of channels, placement of interior levee, water control structures and installation of tide box structure.